GREENVILLE, South Carolina -- Two brothers in arms made a pact almost 50 years ago that lasted until the day one of them died. On New Years Eve in 1968, Master Sgt. William Cox and First Sgt. James Hollingsworth were hunkered down in a bunker in the Marble Mountains of Vietnam. As they feared for their lives, they created a pact - if they survived, they would touch base every year on New Years, the Greenville News reported. The men made it out alive and their lifelong promise began. 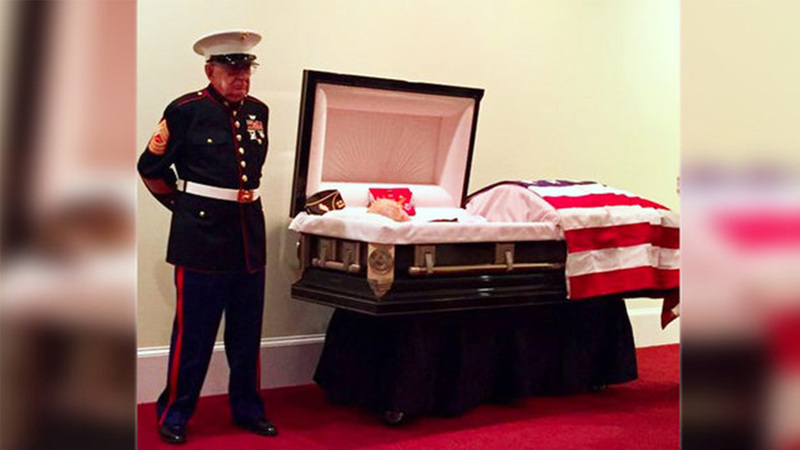 As the calendar added the years, Cox eventually found out his buddy was terminally ill.
And when the time was right, Hollingsworth had one final request for his military brother - to give the eulogy at his funeral. And when the time came earlier this year, Cox fulfilled his final mission to his friend of five decades. Cox's final message to his brother was a saying that had after every mission, "Hollie, you keep 'em flying, and I'll keep 'em firing,"